What is High Dynamic Range (HDR) TV? 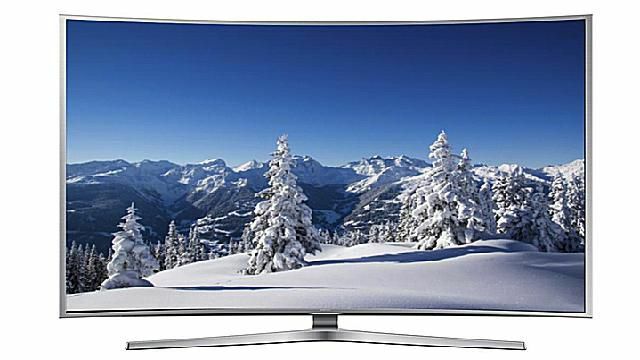 Samsung's UN65JS900 is one of the first TVs to handle the HDR format. Just when you’ve started to get your head round the arrival of 4K/UHD televisions, the TV industry has come up with another technology curveball to pitch at you. This time the technology is called High Dynamic Range - or HDR for short. If you’re into digital photography or you own a reasonably recent smartphone you may well already be familiar with the term, as in photography it’s used to describe a method of taking the same shot at multiple exposures and then combining the ‘best bits’ of each exposure to produce one image that contains a greater range of light and colour than you could ever get with a single exposure. With TVs, though, HDR is done slightly differently. The idea behind it is to capture, master and then distribute video that carries a much wider luminance range than you get with any previous home video standard. You will see brighter whites and deeper blacks, but more importantly you’ll also experience a much greater array of colour shades, an expanded colour range, and more subtle detailing, especially in dark areas. Having already spent a good few hours watching HDR video in action we can say that it really does have a huge impact on picture quality, making images look more alive, realistic and immersive. Unfortunately, though, getting HDR into wide distribution is currently a challenge. The capturing part of the HDR equation is relatively straightforward. There are already a few cameras around capable of filming footage with the extra luminance range HDR requires. The mastering part is also reasonably easy to achieve; it just requires the colourist to work to a wider colour specification than they normally would when creating a home video master. The tricky bit, predictably, is getting these HDR masters from the mastering desk onto your TV. For starters, there’s more raw data in an HDR video file, meaning that HDR needs more space on a storage disc and, perhaps more pertinently for our digital times, more broadband streaming speed. Netflix (reviewed here) estimates that adding HDR to a video stream adds around 2.5Mbps to your broadband speed requirement. By far the biggest hurdle to HDR’s planned invasion of the living room, though, is the fact that you need special TVs to watch it on. First of all, these HDR-capable TVs need to be able to recognise and ‘decode’ an HDR signal correctly. As a case in point, we recently tried feeding an HDR signal into a non-HDR LG TV and it mistook it for 3D! Second - and this is where things get really difficult/messy - a TV should really have the physical image reproduction capabilities to do HDR content justice. This means, in particular, that it should deliver much more brightness than the vast majority of today’s TVs, as well as being capable of producing a markedly wider colour range. It doesn’t help in this regard that the TV world is currently still rather fuzzy when it comes to defining exactly what levels of brightness and colour range a TV should deliver if it really wants to call itself an HDR TV. Fortunately, there are already TVs out there in the shape of Samsung’s so-called ‘SUHD’ series (previewed here) that use new brightness- and color-boosting LCD panel technologies to deliver what feels like a genuine HDR experience. Plus there’s a UHD Alliance Working Group containing most of the TV world’s big hitters that’s currently working to arrive at a consensus of minimum HDR TV requirements, and the new Ultra HD Blu-ray format recently finalized its own HDR specifications. In other words, we’re getting there. Meaning that we can all hopefully start looking forward to a time when TV picture quality is about better pixels rather than simply more pixels. Now that you know what HDR TV is if you want to find out more about how you can actually go about finding and watching this exciting new picture format, feel free to read What Do I Need to Get HDR? What Is Ultra HD Premium - What Does It Mean and Why Does It Matter?